The Space Array was conceived as a user-changeable design which could use variety of materials and configurations on the shade "blades". 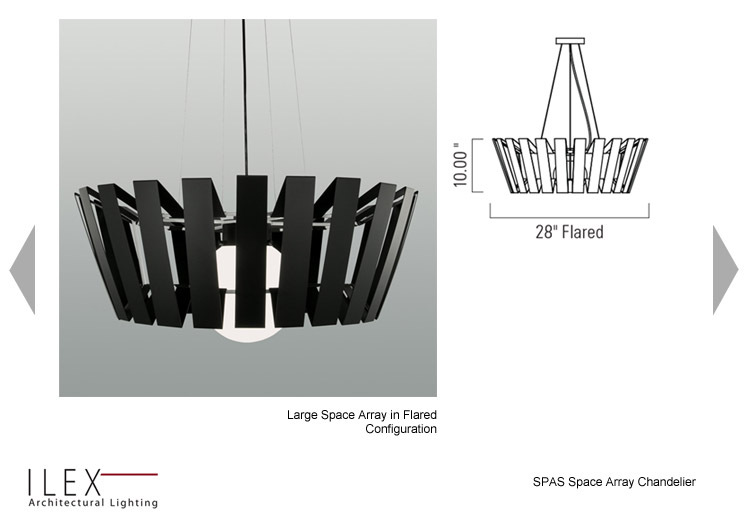 The large size - shown in flared configuration - uses 22 blades "clicked" onto an interior cage; an opal shade hides the CFL lamp. Blades are a powder-coated aluminum with future extensions into recycled plastics, veneer and laminates for blending with a variety of interior styles.